Foreword (by The Dalai Napa) – not shown on site. History and Current Status – not shown on site. Clues to Identifying a Napist – partially shown on site. Napist Quotations -not shown on site. A Napa Sutra (List of Napping Styles) – partially shown on site. Napist Wisdom (Adages and Aphorisms) – not shown on site. Napfucious – not shown on site. N’Apseop’s Fables – not shown on site. Codes, Oaths, Vows, & Pledges – not shown on site. Club Mottos – not shown on site. 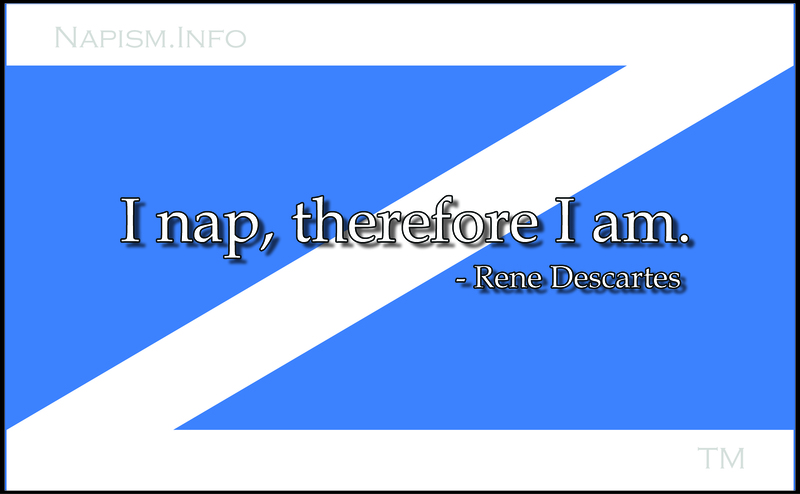 The Nap Flag – not shown on site. The Dalai Napa – not shown on site. Napist Monastery Staff (USA) – not shown on site. Napist Retreat Staff (USA) – not shown on site. Nap Council Members (USA) – not shown on site. Olympic Napping Teams – partially shown on site. N.A.R.P. (Napists’ Association of Retiring People) – not shown on site. Seminars- not shown on site. Frequently Asked Questions (FAQ) – not shown on site. A.N.A.L. (Anti-Napping-Action-League) – partially shown on site.